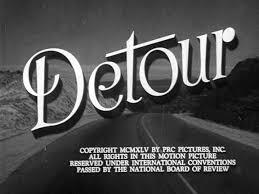 Detour signs on freeways and other roads are not necessarily a welcome site, especially if you are hoping to arrive at your destination on time. Add the notification of road construction signs and the closure of lanes, then long-distance driving can become more of a challenge. The drive from Baltimore, MD to Princeton, N.J. is between 2.5 and 3 hours depending upon the traffic. On I-95 you have a toll station at the Maryland-Delaware line, and also one at Newark, DE. Twelve dollars later you will find yourself going further north . You can decide to continue on I-95, or you can opt to go over the Delaware-New Jersey bridge (another toll) and then on to the New Jersey Turnpike for yet another toll. During my most recent drive, I chose to continue going on I-95. I got to the fork in the road between I-295 and I-95. Unlike Robert Frost, instead of taking the direction towards Trenton, I went the other direction towards New York and immediately recognized my mistake, that being on the New Jersey Turnpike ( pay another toll ). I drove up to the toll booth and asked the attendant “ how do I get to Princeton, N.J?” After paying another toll ( $ 1.30), he smiled and told me to follow Route 1 which in turn took me back to I-295 and then on to the Princeton Pike exit. I was able to get to the Princeton train station early and met my cousin right outside the Wawa store. The journey of Jesus from Capernaum to Jerusalem was not direct, but rather it was circuitous. Jesus went out of the direct line of travel. He goes 50 miles out of his way to Jericho in order to see Zacchaeus. (Sermon: “Master Haste To Welcome The Uninvited “Daniel Heath, Seminarian Assistant, University Chapel, Princeton University, Princeton, N.J. October 28 2018). Jesus also humanizes, validates another human calling him by his name. There will be times in life, invariably for all of us, when things will not go as planned. The journey will not be a straight line, but rather may instead resemble the drive on Highway 1 going through Big Sur, Ca. Yet hopefully, we might find toll collectors who will help to guide us in the right direction. People who can recognize us, call us by our name in order to affirm our own unique life in the world, and in our relationship with the divine, however known.